Did you consider Diana McQueen? A quiet star within the current Cabinet! Glad to see you have included S. Mandel. 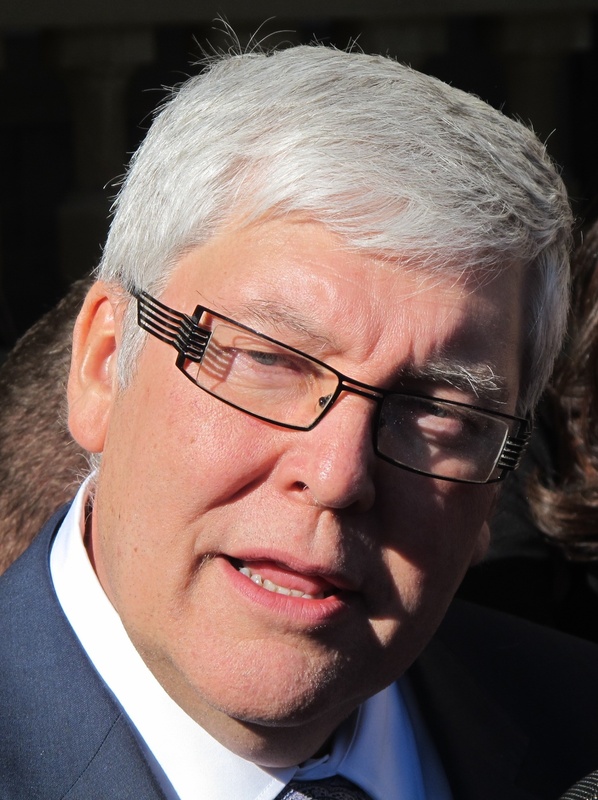 He has been courted for years and if the yeg arena deal had been done earlier, he would have run in the PC ldr race. He has enormous talons in the political circles and a brilliant (and ruthless) handler in P Mitsuka. Some skeptics believe the PC crisis has been orchestrated and fuelled/promoted by the Mandel camp deliberately so they can sail him in as “the savior.” Will be very interesting to see who comes out of the woodwork as support. Verlyn Olson is known by no one. Hancock, Lukazsuk or Mandel, that’s it. I’ll second McQueen, I’d also consider Klimchuk. I’m not sure if either of them are up for the dirty election that is coming though. The ideal candidate (and candidate that could win an election) is Jim Prentice, but convincing him to get in the game is unlikely. 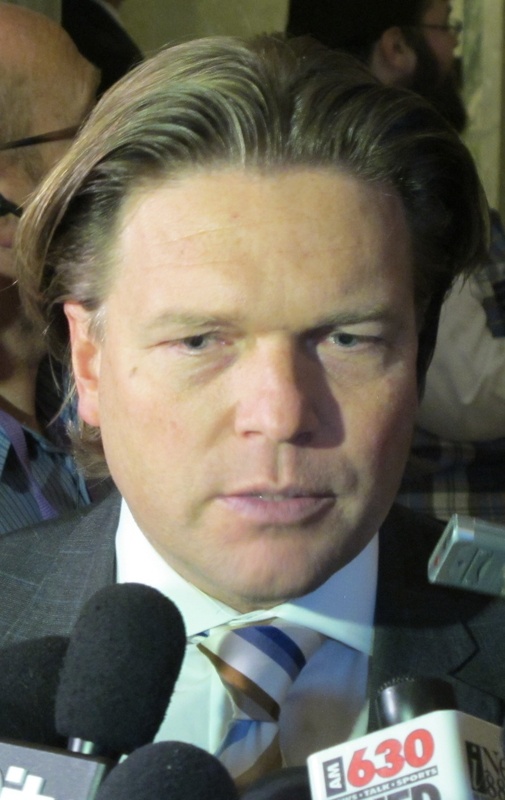 I think Lukaszuk a no go; he was too much of a Redford mouthpiece for too long, and mixed it up too much with the general public. By the same measure I’d eliminate Griffiths as a contender even though he would have been alright previous to some poorly thought out comments regarding rural vs urban areas. Mandel would be a good choice, but he’s getting too old, he’d be a 1 termer at most and I think he knows that. I don’t think he’ll run. Diotte might take a shot at it…no chance of winning though. At the early brainstorming stage I’d throw Manmeet Bhullar, Brett Wilson, Jim Dinning, and Melissa Blake into your pool. One thing is certain, other than maybe one or two exceptions, PC has a REALLY shallow gene pool to find a leader in. And the one or two exceptions I can think of are MUCH too smart to tie themselves to this decaying regime. Jim Prentice should be on the list methinks. However, at this point, Prentice seems a bit like Frank McKenna; someone who people want to run but who will never run. I’d potentially throw Eric Young and Doug Goss on that list too. Dave C. Only problem with this list. None of these opportunists have any integrity, ethics, honesty or human compassion. They all come with too much political baggage and negative perception issues to to salvage the Titanic. You forgot to mention Jim Dinning…he actually has a marginally better shot than any other on this list because he lacks the recent chronological baggage and likeability, perception issues the others got. Honorable mention goes to Mayor Mandel if bit were 15 or 20 years earlier, he would have been a choice as well. I agree with a previous poster Jim Prentice would also like Dinning be a good choice. Who ever the new leader is, they will be dogged by party baggage, party culture and party perception. The only way to turn tha t around is to FIX healthcare, education, restore proper royalty revenues and quit stiffing average families and public sector workers. This party has to make amends with its past and reconcile with those it has wronged. I agree with a previous poster, truly smart folks will not want to run for a party with its perception and public trust in tatters. Any takers? Which smart new aspiring leader wants to be the last of leader to put this party out to pastures? The only way for this party to improve its fortunes is to become leaner and meaner, it needs to lose about 15 to 20 ridings to shed its baggage to renew. While I would personally be delighted if Prentice were to run, I wonder if the rank-and-file would accept his ‘red’ leanings… there may be a desire to get a strong fiscal conservative in place to help fight off the WR in the next election. 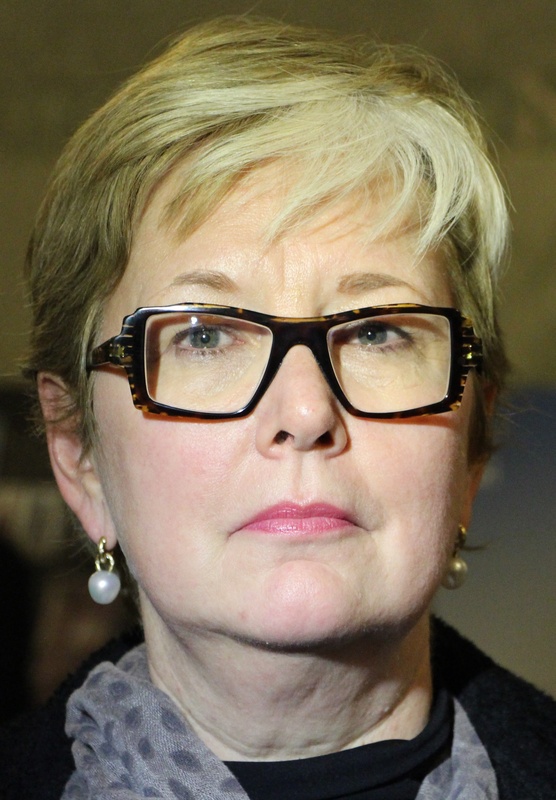 Paradigm shift…I think the Liberal leader would be the best premier..previous tory who left for the very thing most PC MLAs and am retains are disgruntled about he ways years ahead of any other in terms of being an agent of change. He is smart, moderate, intelligent, good with ordinary people, pro business, & not beholden to somebody’s financial darling cause,cares about people. If simple Ed or a pig farmer could meet with heads of state I think this guy can do it. He does come with long term PC baggage. This would mean people would have to change their vote though. Correction does NOT come with long term PC baggage. 2. Former MLA under Ralph. 3. Christy Clark will not be so cheeky and cocky if he was in AB’s chair. 4. From St. Albert, this keeps Edmonton happy and quiet for a spell. 6. PLUS there are no provincial PC Associations’ baggage and other BS attached. most of the candidates are laughable at best. I see some hope for Rajotte though. Anyone know where Dinning is at these days? Im not against begging at this point. We don’t need Mandel or Nenshi. I’ve also heard whispers re: Manmeet Bhullar. Really we need someone outside the current caucus, but with experience. J.D you out there? Please…come back. I’m sorry. @cathy the pc party is laughable at best. It simply has gotten too big,fractured and self serving and secretive to be effective. Then is urban vs rural or north vs south. The next leader will be dogged by scandal after scandal. Its a horrible way for any new Tory leader to start his leadership. Sometimes its better to start over again. I don’t know why any sane normal person would want to be leader, they will be known as the captain that went down with the titanic. This party is incapable of mending its ways…its had 3 leaders in 8 years…I think the culture and entitlement of this party is too much baggage to carry it further….the train stops here. I think next leader will be the last. Although Alison had a neutral impact on the existing culture…the horrible PC culture persists and is incapable of change. Does anybody recall how Albertans tossed out the Social Credit? Hmm, that Rathgeber idea is not bad, although he might be more aligned with the WRA than the PCs. The reason Prentice could win is precisely because he leans left. Alberta is moving further left, population influxes and lifecycles are slowly liberalizing the province on average and with such a weak left wing in Alberta, (showing 30%+ combined in recent polls but incapable of winning because there are three of them) left wing voters would vote for a Prentice led PC party, partially because they agree with and like him and partially out of the same fear factor as last time. Left wingers do not want the Wildrose in power. If he’s successful in his Northern Gateway drive that’d seal the deal. He’s also a stronger personality that might be able to whip that party into line. On another note, a WRA win might not be so bad, hopefully a minority to start things off. Mar was the “anointed one” a few years ago, and I don’t think he’s ever shed his ambitions in this regard. Morton … well … he’s got a big enough ego to go for it. So lets see this clearly. Alberta is the home of Conservatism. The Provincial Tories eject Redford for doing what amounts to the same thing your high & mighty leader Harper is doing with the federal party. Must be the man refusing to take orders from a woman thing. What about Ted Morton? Marginalize the WRA? Bill, you forget, the WRA is the Alberta party aligned with the federal conservatives, the provincial PCs are not. Anyone who thinks the solution is to have a leader who is more left/centrist clearly hasn’t learned the lesson here. So any suggestions of centrist or left-leaning leaders would probably be the best way to ensure the next government is Wildrose. The WRP learned a lot of lessons during the last election and has run a very effective, tight ship since then. Alberta is not moving left or leaning left. All you have to realize is that the most effective opposition to the Tory party comes from its right, not from its left. The next Tory leader is going to have to be starkly right wing and from the “no debt is good debt” group. They’ll need to act quickly to take some of the wind out of the Wildrose sails. I like McQueen, think she is a good representative but now would not be the time for her as leader. I think Jethro Bodine is the obvious candidate because he reflects the sensibility of many Albertans and could connect best with those currently in the legislature. Indira Samarasekera, outgoing President and Vice-Chancellor of the University of Alberta. Darren, I don’t agree; I think Alberta is moving more left. In the ThinkHQ poll that said Redford was at 18% approval just two days a go it also asked who people would vote for and 31% said NDP or Liberal, and that is knowing full well they can’t win because of the total left wing split. If there is a strong Centrist but socially liberal contender leading the PCs I think they can defeat the WRA again using that left wing vote. To those proposing Mandel or Nenshi: Ex-mayors who are used to operating in a nominally non-partisan atmosphere tend not to do very well in hyper-partisan climates like provincial or national politics. 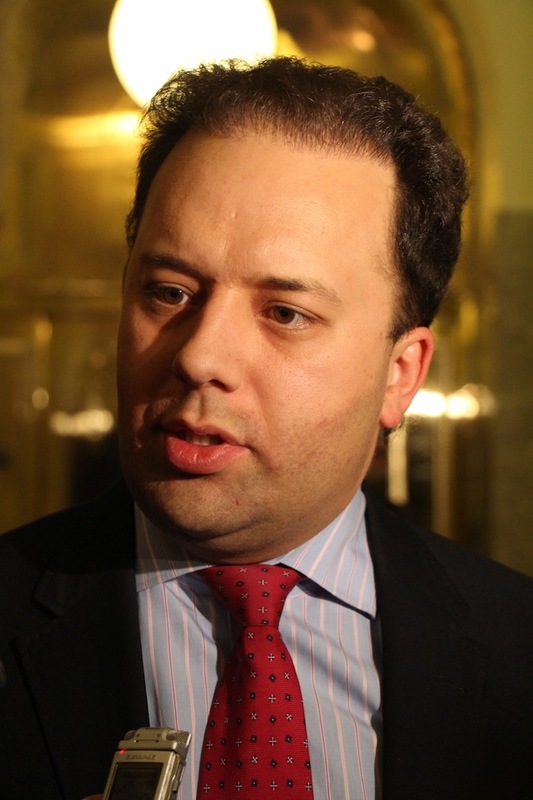 They have to compromise in municipal politics if they want to forward their agenda. At other levels they have to keep their caucus on board, and also “respect” the “winner-take-all” mentality, where no compromise is the order of the day, even if opposition amendments would improve the proposed intent of legislation. I like the idea of Jim Prentice because he’s smart and capable, but I can’t see him running for the position. First off, he would probably have to take a cut in pay from his private sector earnings. Secondly, why would anyone smart want to lead the PC’s? The province is due for a change. I don’t “want” to see the WRP in majority power, but a term or two in opposition would be good for the PC’s in terms of renewal and learning not to take their support for granted. And considering the membership of the WRP, I can’t see them as surviving much longer than a term just due to the rank incompetance of any prospective Cabinet ministers…seriously, who amongst them would make good ministers of Health, Education, or Infrastructure? The party needs to take some wind out of the sails of The WildRose. With that in mind, they ought to go hard after Shayne Saskiw or Rob Anderson as a defection. They need someone to cross the aisle or they will be wiped up in 2016 like the Federal PCs were in 1993. Add Ken Hughes to the list of possibles. Ms Redford became PC Party leader and Premier because she convinced voters that would not normally vote PC, like public sector workers (teachers, nurses, civil servants, and the like), that she was a new, progressive force within the PC Party, and that they should take out party memberships in order to be allowed to vote for her as leader. Then in the general election, she and her campaign team convinced those same voters that the Wildrose were an existential threat to their values, and so not to “waste” their votes on the Libs, NDs or AB Party. Then after she got her majority mandate, the government she led proceeded to alienate those same progressive voters, while she herself, with her cosmopolitan outlook and jet-setting ways, alienated traditional conservative voters, who are very parochial in their outlook, driving them to Wildrose. In other words, her government has ticked off both wings, and without wings, no plane will fly very long. The question of whether this was all caused by her own failings, or by a caucus and party establishment that did not support her, or a combination of both forces, is moot. She is done, and IMHO, at the next election so will the PC Party be. The demographics will simply not support a Tory rule any more. With so many progressives coming from other provinces and immmigrants, the party will have to abandon its right wing leanings altogether and concede ground to the WR. The other way for the Tories to move on is take a hard turn to the right to fend off a WR juggernaut but this also risks alienating progressives. At the end of the Tories are on a tightrope. The have burned too many bridges and take people for granted too long for for long to be safe in part of the political spectrum. Coffee shop discussions are people changing vote to Lib and WR. The PCs can’t be everything to everybody anymore the sham facade is disenchanting Albertans, even long time members. whoever can campaign from the center and GOVERN from the Center will be the successful as leader and 4 yr premier . I’d put a few bucks down on the person to replace Redford being…..Danielle Smith. Not as leader of the PCs, but as leader of the merged WR/PCs. The predicament for the PCs is two-fold: 1. the “aren’t the WR scary” meme that snatched victory from defeat last election is highly unlikely to work this time because (a) 2 years of solid performance as official opposition has tempered the “scary” and (b) there’s probably a higher tolerance for “scary” now anyway, compared to Redfordian regency (does anyone think two years of the “culture of entitlement” was still preferable to a competent, conservative government with an obscure backbencher/failed candidate who believed in the “lake of fire”) and 2. there is a significant percentage of PCers who held their noses when Redford pushed the party left to cherry pick traditional Liberal/NDP voters who won’t want to hold their noses anymore, given how well that little tack turned out, as well as a lot of nose holding within the AUPE last election that won’t likely happen again, even if the govt. caves on the court appeal of the labour bill. If I were the WR, I’d certainly at least explore the idea of a merger, as long as it followed the federal model that saw the ascendent party essentially call the shots. Smith’s chances of being the next premier go from 50-50 to 100% if there’s a merger. Stephen Mandel? Really? I hope not. He was a breath of fresh air ten years ago but he is way past his “best before” date now. He embarrassed Edmonton with his temper tantrum over the failed Expo bid and flopped when Katz played hard ball over the arena. Mandel would be an awful premier. The Tories shouldn’t look to a 70 year old white man to revive them. 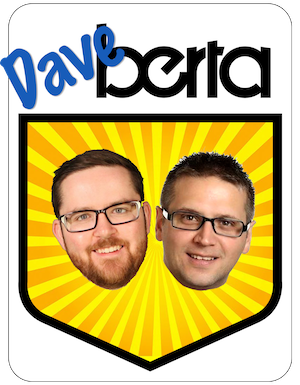 Time for a new generation of leader in Alberta. I’m with Colin. 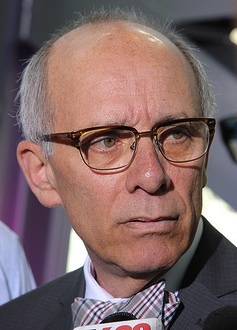 Mandel would be a terrible premier. Although the WRA PC merger idea has some merit, it also screams of opportunism on the part of every single person that is part of it. While I could still vote for a PC party led by a strong leader I could never vote for anyone in a merged PC/WRA party. On top of that, the current polls say the WRA would win a majority right now. I know polls have been pretty poor at predicting election outcomes lately but that attitude of “maybe I should vote PC to keep the WRA out” is gone. People are not on the fence anymore. The best hope for the PCs is to get people back on the fence. I personally think the PCs are done and without a united effort by the left that means the WRA is in next election. It would take a miracle for the PCs to pull it out now, maybe Prentice could do it, but he might have a shot at PM in a short while too. There won’t be a PC/WRP merger. I doubt the WR sees the need for one. They learned a lot of lessons in the last election. They’ve gotten a lot of ground running right of the government. I’m not sure a lot of progressives are moving to Alberta, however. If you are, you’re probably coming from a “progressive” province elsewhere and aren’t happy with it (otherwise, why would you leave?) or you’re looking for a job and wouldn’t want the government to do anything that would endanger your job prospects here. If Redford proved anything it is that a move to the centre/left is a recipe for tumbling popularity numbers. The right WRP is doing just fine, the right/centre Tories are struggling and the left Lib and NDP aren’t even on the radar. The next Tory leader needs to take a decisive tack to the right but it might already be too late for that given the next election is only 2 years away. Monte Solberg would be a good choice for a numbers of reasons: he’s well-respected in political and business circles; he brings the PCs back to the centrist-right; he provides a connection to the federal Conservatives that is missing now. Yes, the WRA is now aligned with the fed Cons, but only because the Alberta PCs had previously defined themselves so well as anti-Ottawa…and it was easy to do with a Liberal Prime Minister. The PC party executive convinced themselves that the party’s popularity was due to their great policies and leadership, when it was merely due to Albertans’ immense distaste for the federal Liberal dictatorship. I would recommend Stephen Harper. He could build a Firewall around Alberta, and when elected initiate a lift-off into the bitumen universe where everything is just a bit darker and a bit more greasy. After all only in Alberta is the solution to failed right wing policies more right wing policies through the WRA . In any other Universe (or province) one would of course try a true alternative in the form of Liberal or NDP. However I wait with a fair bit of amusement to see Unions, Teacher, Health Care workers and so on flock to the PC one more time. After all it did work really with Stelmach and Redford. I am glad and proud that I spoiled my ballot. I can’t tell you how excited I was when I noticed my name in this article while sitting here at the Starbucks at Broadway and 94th in New York City, where I’m getting my annual dose of Broadway musicals. In New York, that is, not in the Starbucks in question. Then I read the article and I was extremely disappointed to learn I was only being quoted, not touted as a candidate for the PC leadership. Here I thought something really good for Alberta had happened in my absence. Jack Hayden, Former Minister of Infrastructure, Agriculture and Tourism. Hello PC leaserds (AB, ,PC Politician), members, volubnteers and all supporters with everyone in residents of Alberta and you have a good day to start new strategic plan for your interst of building your home, community, and your province together for our new generation future., and we will do its by accepting each other regardless of your religios, ethnic, colore and belief and we are all have common goal that our province become best place to leave and raise your future which your children. Welcome to 2014 Alberta PC leadership race. I just found out that you had cancelled the STEP programs for summer camps in Alberta. I just renewed my master electrician ticket from the Safety Codes. Two things bother me. 1 Do you have to always have free enter prize in the picture for the Summer camp so one of your friends can make a profit? 2 My fee to the Safety Codes Council went from 55 to 125 dollars in a year. I am a Conservative supporter but this whole bunch in Edmonton and Calgary are starting to piss me off. How am I going to continue my support if you do so many things for the American oil companies and do nothing for us small business types and the students. Man your getting hard to like! I haven’t cancelled yet but keep this up and your losing me. By the way I worked for the oil companies when I had my business.